Alexandra and Tim have attended and been in a number of weddings over the last few years. Now that it's their turn, they are excited about creating a weekend for their friends and family that is a little different than the standard Irish Catholic weddings their families are used to and that feels authentically like them. Because the weekend will have the feel of a destination wedding without the flight, they're excited about creating a multi-day affair with a BBQ to kick off the activities and activities for guests to explore the area during the day on Saturday. After falling in love with the scenery at Hayfield on the first visit, they want to create an event that feels fancier than a standard barn wedding but with a lowkey feel -- an al fresco dinner outdoors, moving into the barn for dancing, and family-style food. Photographs that capture this feel are so important. After being in a number of weddings, they know how much time you spend with the photographer on the day of the wedding and connection is one of their primary concerns. Beautiful photos can be found anywhere, but someone who can bring laughter and zen to the day, giving direction while being a calming force, is more rare. Dark and moody photos with serious poses (think couples looking in opposite directions with no smiles) are not their thing. They are looking to find the balance between beautiful romantic photos and images that capture their personalities and all the fun of the day. 9-10 hours is recommended for weddings with a ceremony + reception in the same location and a getting ready location close by. This gives us the flexibility to capture the end of getting ready up until when the dance party starts to get going! It's the perfect amount of time to have all the best bits of the day captured. Full Day coverage is recommended for weddings with multiple locations, 250 guests or more, and/or with long travel distances between getting ready, the ceremony, and the reception. We're there for the full story of the day from start to finish -- the beginning of getting ready until when the dance floor starts to get lit. You won't have to worry about squeezing in your timeline to a certain number of hours and will have more flexibility. An online gallery is a great thing to have, but nothing beats being able to pull out a beautifully crafted album and share it with friends, family, children, and eventually your children’s children. Photos are meant to be printed out. Handled. Touched. Passed around. We make albums and books because when your grandkids are visiting, they should have something from your life to look through with you on a couch, not on a screen. 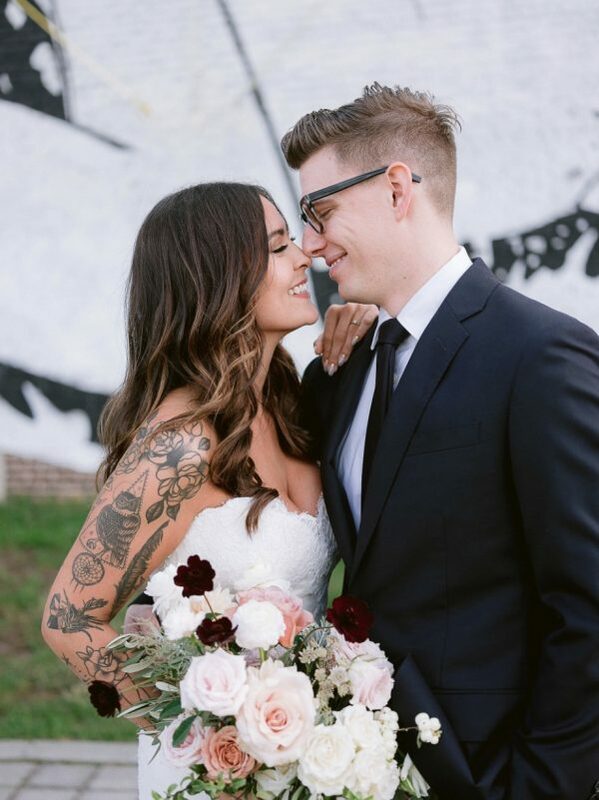 Jen and Matt’s lowkey and intimate wedding of 80 guests on a rooftop in Brooklyn. Jen got ready with her closest friends at an Airbnb nearby while Matt was with his best man at their apartment. We did portraits around the neighborhood before their outdoor ceremony at sunset. Dinner was cocktail style, with passed hors d’oeuvres and a buffet during toasts while guests mingled. Their epic 90’s music dance party ended with dumplings delivered straight from their favorite dumpling house. Brittany and Matt adopted Brooklyn as their home, so 150 of their family and friends came from both coasts to celebrate. After getting ready in separate apartments in Williamsburg, they met in Greenpoint to do photos around and inside the venue. They wanted to enjoy cocktail hour, so we did all their wedding party + family photos before the ceremony. Guests dined on Pies n’ Thighs BBQ over speeches, and after B+M entered to the WWE song before their first dance and the subsequent party complete with pie and pizza. Kim got ready with her bridesmaids, while a few floors below Luke hung out with his groomsmen. 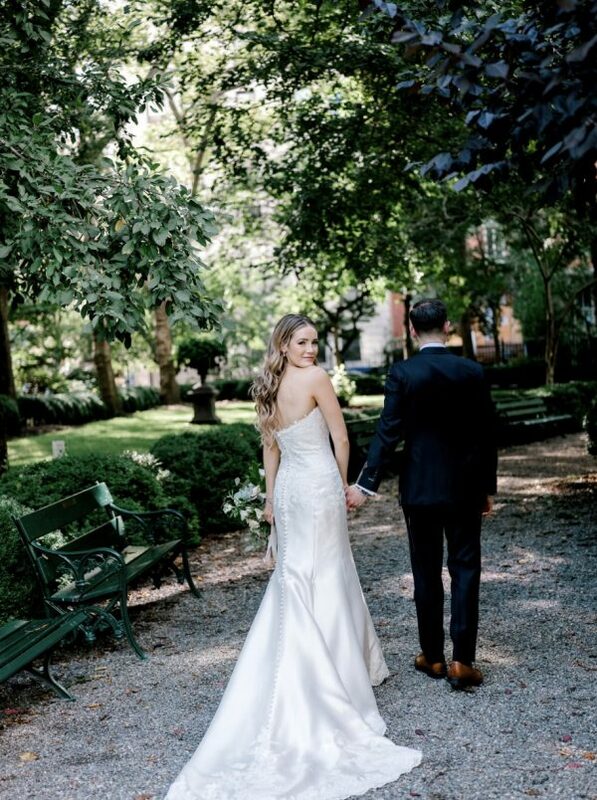 We did their First Look outside Gramercy Park, and while doing photos a woman rode by on a CitiBike and lent us her key inside the park. 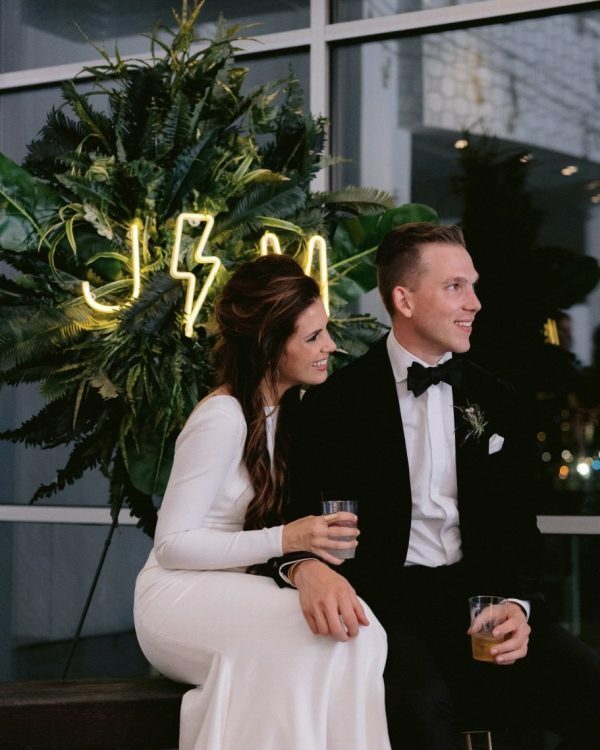 After doing family and wedding party photos, they had some time to relax before their 90 guests arrived for their ceremony and candlelit dinner. Parents and friends gave toasts over a four-course meal. After cutting a Milk Bar cake (yum), their close friends from college stayed for an intimate dance party. 6 hours of coverage, 1 photographer.